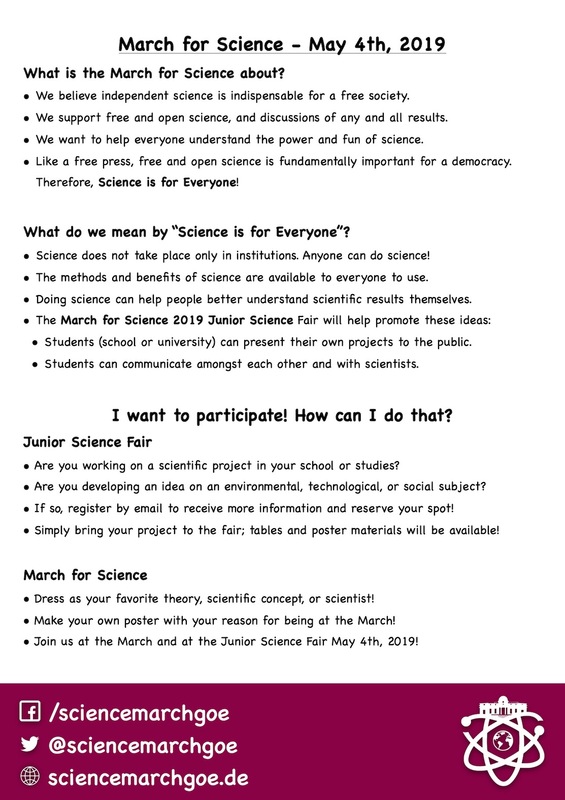 Here are some items you can print yourself to advertise the March for Science 2019, the Junior Science Fair, and your passion for Science! Feel free to print and post these anywhere! 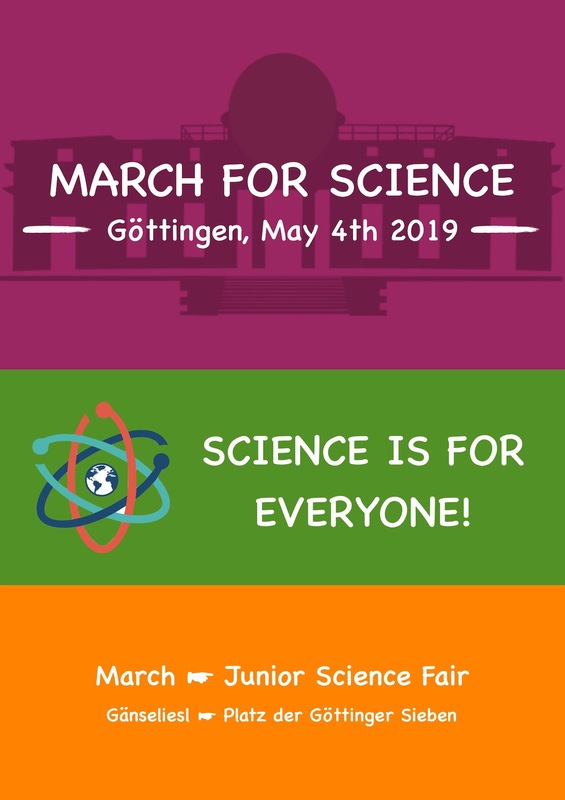 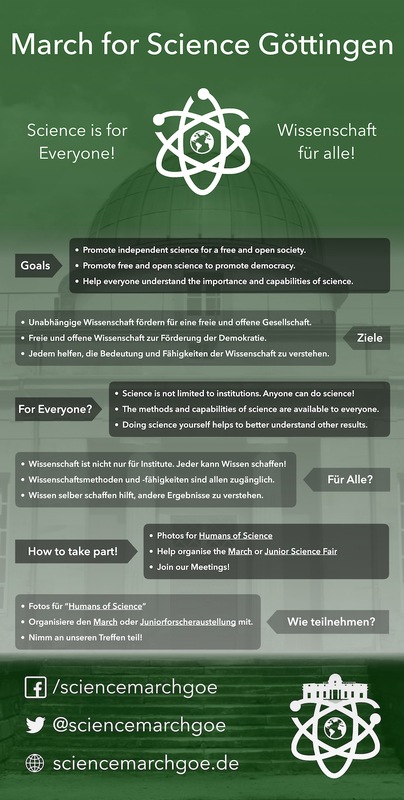 To get your own official MfS Göttingen t-shirt, contact the shop “Flockhaus“, and tell them what color you would like for the March for Science 2019 edition!